Viewpoint opens with a section called Allegations Of Paradise, and I am not merely mentioning this title due to its state as the album’s kick-off, but because of the wonderful title itself, containing traces of Exotica and yearning as well as a pinch of doubt. Will Long starts the album with a quieter yet glaringly translucent synth scheme of the ethereal kind. Gently oscillating layers ebb and flow, rise and fall, always retaining their infinitesimally glacial grace which is then intertwined with breezes of loftiness, a condition that can be lessened at louder volume levels which unravel surprisingly feisty bass drones. Melodies do exist, but only in the form of half-tone sequences and sound surfaces rather then fully carved out strains of distinction. Speaking of distinction: only Celer knows the exact duration of the first sub-track, as the textures do not change over the course of Viewpoint’s runtime. My description hence targets many additional segments or counterfoils, possibly even accidentally so. Around the seven-minute mark, Viewpoint encounters a fair share of ecclesiasticism. Pipe organs are nowhere near the soundscape, but the tonality and atmosphere resemble a cordial solemnity that is almost imperceptibly interwoven into the endemic layers – a nod at the shrine which is visited during the trip? … which immediately make room for the soporific superimposition of benignancy and wraithlike reclusion that continues to dominate around the mark of 27 minutes, but is countered by diffuser synth apparitions which for the first time unchain a decidedly large amount of cryptic tension. Again, these impressions are only snapshots! Once the listener is contingently bewildered, the pendulum moves into a different direction, dilutes the pressure of the grey-tinted accentuations and complements them with milder undercurrents. This ongoing flow of disparity and inequality floats along for almost 15 minutes, injecting the same reappearing infusion of acroamatic synth washes and stern cascades of twilight. 40 minutes in, and Viewpoint returns to its vitreous morphogenesis made of ecclesial vesicles, a spellbinding coziness and various sumptuous vacillations, the latter of which are as shape-shifting and ever-changing as the destinations of Mitsutake’s and Long’s field trip. Wonder and peacefulness remain the superior forces from this point onwards, and Celer makes sure to submit synth showers of the meandering kinds, accompanied but not perturbed by frisky sine tones. Around the 58-minute mark, the tonal range even resembles the Robert Fripp-involving Ambient classic FFWD (1994); both Celer and FFWD never succumb to conclusive portrayals of happiness, not even when a beautiful summer day in Japan is the represented topic, but intermix shadier fractals with vivacious fractions. Perhaps consequentially, Viewpoint comes up with a fair amount of indistinct counterpointing runlets after 74 minutes, but thankfully closes in utter harmony, reduced and reserved as expected and with quieter tones, yet chock-full of seraphic streams. The final, utterly astute track title? Everything Rotates. As with all of Celer’s albums he marks as eminently special, such as I, Anatomy (2012) and now Viewpoint, the listener faces two tendencies, each of them intriguing in their own right: for one, he or she who listens mindfully with an observant ear will eventually be lost in the attempts to decipher, decrypt and dissect the implicit reasons for each vignette’s existence. Will Long deliberately camouflages the truthful truth of the various sections despite his openness and explanatory markers such as track titles and accompanying texts, both of which curiously enough lead to the second tendency the listener encounters during the listening session, namely that of a genuine interest which will not die down regardless of the impossibility to determine or pinpoint Celer’s transparency. This crepuscular state allows and actually nurtures a less serious listening habit: it is comforting enough for a listener, I presume, to know for sure that Viewpoint is embedded in an important context, that it is an aural travelog with outlooks over treetops or riverbanks and short yet contemplative breaks at shrines and bridges which lead to the picnic in a perfectly normal field on a lovely summer’s day that slowly turns to dusk. One cannot possibly distill any of these (arti)facts in the soundscape itself, hence the – optional! – importance of the side notes and texts Will Long delivers. It is therefore possible to enjoy Viewpoint as background music, as pernicious the implications of this term may seem; it is a 78+ minutes long composition that gyrates around sunlit places, shadier locations and downright spine-tingling aortas. The stringency of the textures turns out to be an important boon in this regard, it allows a positively tranquilizing and mollifying zone out state and a deeper inspection of the balancing of sine tones, elysian gusts and scintillating New Age flecks. 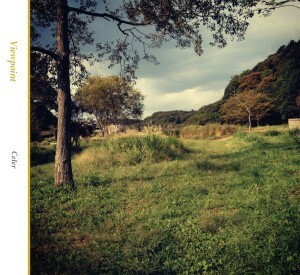 An important album for Celer and an enjoyable if equally dichotomous journey for the listener. One 78 minute track. Why me, Lord, why me? I’ve covered a few discs by this space cadet Will Long, but they tend to be cut up into more manageable pieces. This particular project claims “one track with 26 movements,” but there’s no indication of where one begins or ends, and what changes in this composition changes slowly and subtly, and I can’t hear it. Acoustically, there are no notes or percussive elements that occur with any regularity. Rather, it’s like rubbing your finger on a really nice wine glass as someone drinks the wine with a soda straw. The movement titles are properly cryptic. “Filled with Glyphs and Numerals” is a good title, as are “Sleeplessness and Pallor” or “Suite of Unnatural Melodies.” But could I point them out? Could you listen to one or the other and declare “Oh, yeah, I love that 325 hertz passage in ‘Flame Fanning’!” I think not. This is electronic ambiance suitable as a background loop in a modern art museum, a soundtrack to some sort of scientific animation, or something to soothe the baby. La musique de Celer (Will Long) est toujours très paisible. Viewpoint est un morceau de 76 minutes divisé en 26 parties enchaînées (et présentées en une seule piste sur le CD). Électronique ambiante qui établit une atmosphère puis cherche presque à disparaître, régulière sans devenir monotone, avec juste assez de changement pour accompagner l’auditeur. On frôle la béatitude; pourtant tout cela tient à bien peu de choses. L’album le plus abouti de Celer à ce jour.